Through the end of the year, Everyday Life in Bible Times by John A. Beck is available from the Gospel Advocate online store for only $24.97 (Reg $29.99). No promo code is needed for this special holiday season pricing. 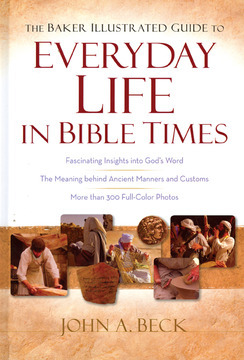 Everyday Life in Bible Times by John A. Beck seeks to answer the question, “What was life really like in Bible times?” This fully illustrated guide aims to help modern readers gain insight into the manners and customs we encounter when we read God’s Word. Contains more than 300 full-color photos. Hardcover.